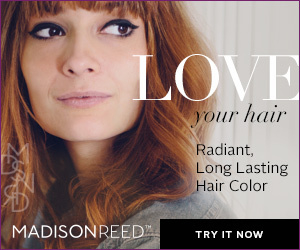 Have you guys heard of Influenster? According to its website, it's "a free-to-join community of trendsetters, social media masterminds, and educated consumers who live to give opinions of products and experiences." Basically, Influenster rewards its members for posting reviews of and sharing opinions on all sorts of products --any products, really: beauty, food, grooming, lifestyle, etc.-- across social media. Rewards come in the form of VoxBoxes, packages filled with complimentary products from various brands interested in feedback from the Influenster community. The more you review and share, the better the likelihood you'll be selected to receive a VoxBox. By the way, you'll have to forgive the shabby iPhone photos I'm posting today. The boyfriend/official photographer was busy working, so I snapped these on the fly. Those sad sad packing peanuts! But then again, I suppose it's about testing the product here, rather than having a crazy sub box confetti-and-tinsel experience. And I'm okay with that -- you know what they say about gift horses and mouths. 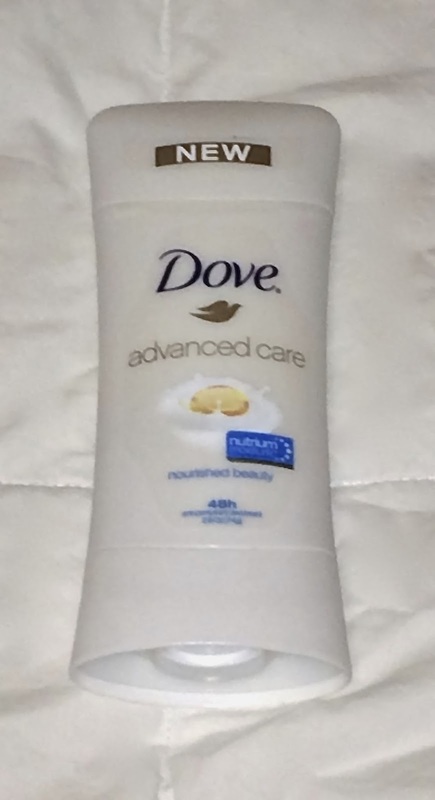 Inside the VoxBox, I found this Dove Advanced Care Anti-Perspirant Deodorant. I had a flicker of concern when I first saw it, because I've been irrationally loyal to Secret deodorants for ages. I mean, it's basically the only deodorant my armpits know. Also, I have pretty sensitive skin, so I was a little worried that this guy might be irritating. Call it fear of the unknown, I guess. The Influenster insert didn't really provide any information about the formula, other than to indicate it's made with "NutriMoisture technology" which, I suppose, hints at some moisturizing component. I decided to give it a go. Right off the bat, I liked this guy's design: curved, slim, and streamlined; and the entire bottom of the container twists to push up the deodorant stick. Ingenious! The scent, which apparently doesn't have a name (or none that I could make out on the bottle) is pretty light and fruity, nothing too cloying or overpowering. The deodorant itself, a white stick that goes on clear, glided on super smoothly and fluidly, like lotion. It doesn't have the grainier feel of a regular stick deodorant, which is a big plus. I've been using it for four days now, and can happily report that it's been incredibly mild on my skin, and that it's effectively kept me dry and smelling fresh throughout the day. I went to work on three of those days and did some dancing last night, and it had my back on each occasion. Granted, aside from dancing, I didn't do anything too strenuous, so I don't know how it would hold up after a strenuous workout, but it's more than efficient for everyday and weekend shenanigans wear. I think Secret might've found some competition in this guy, after all these years. Who knew! Are you also irrationally loyal to any of your grooming/personal hygiene products? I wonder why we get stuck in blinders mode with these most mundane of things. Any theories? I received this box free of charge. This post does not contain affiliate links, referral links, nor other forms of advertising for compensation. All opinions expressed herein are my own and never affected or influenced by sponsorship. For full disclaimer and disclosure details, click the disclosure tab above.